The Kroehn family have been farming their land in the high elevations of the Eden Valley for 6 generations. Descended from original settlers, this family take great pride in producing grapes of superb quality that reflect the hard and stony ground that abounds throughout the ancient soils of the Eden Valley. The Hampel family have been farming their land in the northern reaches of the Barossa Valley for 6 generations. 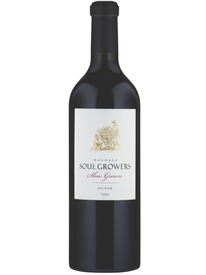 Descended from original settlers, this family take great pride in producing grapes of superb quality that reflect the red soils that abound in the Northern Grounds. “The Limb family have been a part of the viticultural and winemaking landscape of South Australia since the early 1920’s. The vineyard lies along the Western Ridge of the Barossa Valley, near the hamlet of Seppeltsfield. Facing west, it catches the afternoon sun, whilst the shallow and infertile soils only allow the vines to eke out a meagre existence - yielding a very small crop of intensely flavoured fruit. This small section of the Barossa is renowned for wines of great power and elegance, and this release is no exception to that. As generational Barossan’s we fully understand that great wine takes time, from understanding our regional soils, to the vineyards that have grown in these soils for decades, to finding the barrels that brings out the best of the variety and style. These are the attributes that underpin our Slow Grown Barossa Shiraz – from the Soul. The 1953 Orlando Barossa Cabernet, oh what a wine, and it is like minded wines that the four of us have enjoyed over the years that inspires us to make wines that live and develop in the Cellar. In a day and age of instant gratification it is our intention to ensure wines like this can and will reward those of you that love to invest time and patience into your wines. 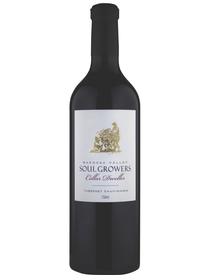 We trust that the Soul Growers Cellar Dweller will be one of those wines that will offer you a Soulful “oh what a wine” experience. Defiant is an understatement with Mataro as it has stood the test of time as one of Barossa's best kept secrets. Today there has been a resurgence of interest in Mataro (or Mourvedre as it is also known) as a single varietal wine with exceptional results. Spice, structure and depth of flavour will ensure Mataro will enliven your Soul for many vintages to come! The Blending of noble varieties to us has always and will continue to offer great potential for complexity and depth of characters. Like blending and matching food the very essence of finding the ideal varietals and blending the right percentage of each variety based on the vintage year brings a style and consistency. Integration of these individual varietal aspects offers flavour profiles not found by the use of a single variety. The Soul of Blending. El Mejor (Spanish for “The Best”) highlights the art of blending varieties rarely seen together in the hope it will invigorate your passion for wines that are judged purely on taste and flavour, not the varieties on the label – it is the very Soul of blending! Vineyard - Once a much larger vineyard, these 106 individual vines have survived the encroachment of the town of Nuriootpa and are now all that is left. These vines are over 130 years old, making it amongst the more ancient vines of this under rated variety. Tended individually by hand, due to the size of the block that is left, these Survivor Vines eek out a living in dry grown conditions just north of the township. A remnant of ancient wonder. Winemaking – this tiny block barely gave rise to enough fruit to make 1 barrel only. Open shallow fermented in a tub, plunged daily twice by hand, basket pressed then matured in 1 French oak hogshead, which was 3 years old. Maturation for 18 months followed by hand bottling.